John Edward Elgin’s life was marked by outstanding masonic influence from the earliest stages. He was born in Austin but sadly, his parents died when he was only eleven months old. His uncle, Past Grand Master Robert Morris Elgin, adopted and raised him, instilling in him an undying love for the masonic fraternity. The city of Elgin was named after John’s uncle. When he was very young, John accompanied his uncle to the Grand Lodge which was then located in Houston and there, he met a close friend of his uncle, the illustrious Past Grand Master Anson Jones, the last president of the Republic of Texas. At that meeting, Elgin also met Robert Brewster, George Brinkhurst, “the two Taylors,” Past Grand Master Van Vleck, P. A. Botts, and John B. Jones, all important early Texans and men who helped establish masonry here in the early days. As a result of the meeting, Anson Jones developed a cross-generational friendship with the young Elgin and spent many hours during the last few years of his life telling stories of the “old days” of Texas to the boy. Captain Jack’s memoirs detail the condition of a troubled old man but one who was not the drunk shell that many others would later accuse Anson Jones of having been in his later years. “The old ferry was right where the suspension bridge is now. Crowds upon either shore were waiting to cross. On the east bank were men with carts and wheelbarrows putting in the foundation of the east tower of the suspension bridge. What Elgin couldn’t have known then but soon learned was that the Bridge had been a project dreamed up and carried out by members of Waco 92. From there, Elgin tells about how he and his team went into the old Downs Building the next day on the square so they could escape the wintry conditions that had just blown in by spending their time on mapmaking. The true Wacoan will appreciate Elgin’s almost immediate exposure to the ways of the weather in Waco. On the previous day, quoted above, he had marveled at the gorgeous “summer day” taking place so early in the year only to be driven indoors a day later by lousy cold and wet conditions. “Would that my lips were touched with hallowed fire from the altar of purity that I might do justice to this occasion. The ladies! Heaven bless them! Are they not the real, our true Eminent Commanders? Are not our hearts by nature theirs? Are not our swords by duty theirs? Are not our purses theirs by right? He became an officer with the Waco Grays, an militaristic order charged with patrolling the frontier around Waco. This is how he gained the lifelong title, “Captain Elgin.” He attended law school at the University of Virginia starting in 1876. 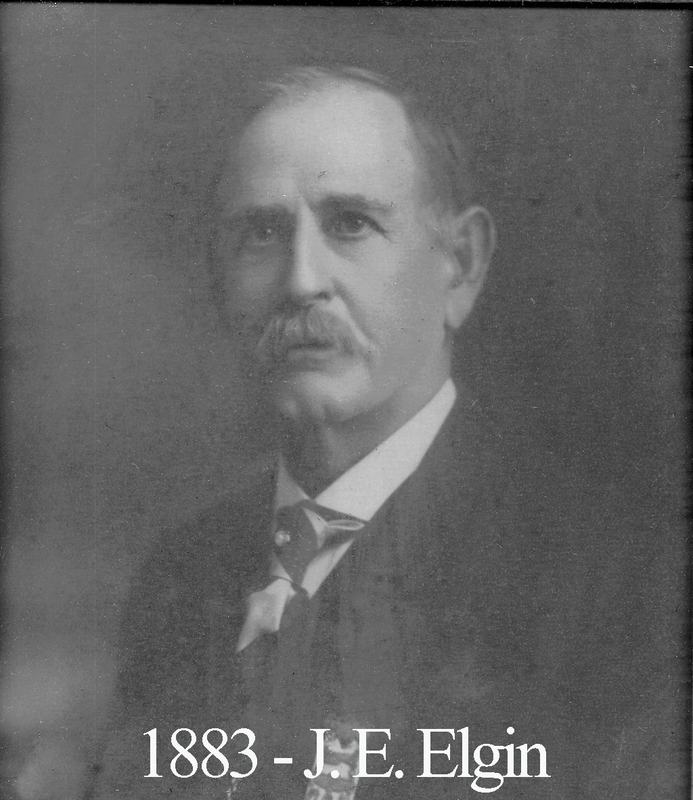 At 21 years of age and during the same year he graduated from Baylor(1871), Elgin became a mason at Waco 92 with Brother Joseph Speight conferring the degree and Sion Trice as Senior Warden. He was entered in early August and raised to Master Mason on Christmas Day. Two days later, he was appointed senior deacon. Elgin’s memoirs record that at that time, Waco 92 inarguably had the most distinguished membership of all of Texas. September 30, 1876, Elgin made a motion for all Past Masters to present their portraits for displaying at the lodge. This began a tradition that continues to the present day and we are eternally in debt to Captain Jack because without this tradition, we would not have portraits of several Past Masters. That same night, the lodge also voted to pay eighteen dollars for “new spittoons.” 1878 saw Captain Jack serve as Eminent Commander of Waco Commandery No. 10 which was only five years old at the time. 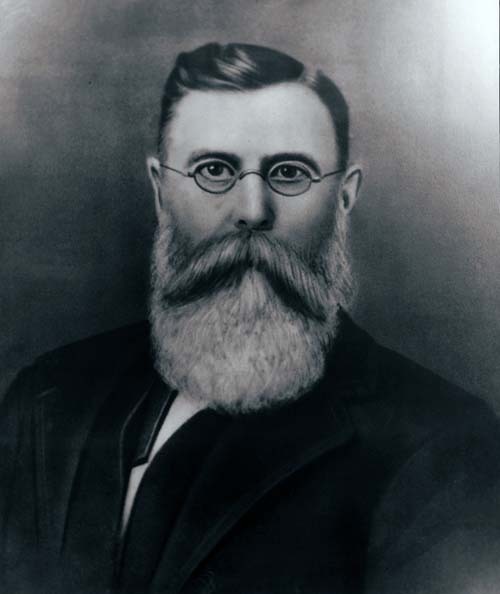 In 1886, he was a member of the committee that formally combined Waco and Baylor University and after that, he served as secretary of Baylor’s Board of Trustees. In 1876, he went to the University of Virginia where he acquired a law degree. Elgin acquired the Waco Examiner newspaper in 1887 and made use of that publication to counter the prohibition movement. During this time, he went through the chairs of the Grand Commandery Knights Templar of Texas. 1904 saw Elgin move to San Antonio where he continued his strong presence in politics. He was secretary of the Aransas Pass Land Company and he purchased 65,000 acres, making his home in Rockport where he organized the first Intracoastal Canal Convention and led a movement until 1922 that resulted in President Warren G. Haring signing a bill granting federal recognition to Aransas as an official port of the United States. In effect, Elgin’s efforts established the communities of Aransas Pass and Rockport as we know them today. By 1938, Elgin lived a long and prosperous life and he returned to Waco 92 to celebrate his 75th birthday with the brethren at their meeting place on the corner of 8th and Washington. John Elgin died in September of that year and Waco 92 traveled to Austin for the purpose of performing masonic funeral rites at his grave. He is buried in Austin’s Oakwood Cemetery. “At that time, the prejudice between Masons and Catholicism did not seem to be so marked as today. Three prominent Catholics in our Lodge were J.E. Eagan, J.B. Smith, and Brother Steiner who was a very zealous and active Mason. Upon one occasion during the year I sat in the East, Brother Steiner came to see me and said, ‘I wish you would have a talk with Father Badelon(the Catholic Priest in Waco). He thinks Masonry is an infidel order. He thinks a great deal of you and I would like for you to convince him that it is not infidel. At that time, I had a sweetheart who was a member of one of the great Catholic families of America. Consequently, I was generally at the fairs and functions of the church for raising money and I was a liberal giver, which no doubt accounted for the high esteem which Steiner said I was held in by Father Badelon. I assured him that it was not an infidel order and taking Taylor’s Monitor from my desk, I asked him to take it home and read it. After several days, he returned and said that was all right, there nothing anybody could object to in that, but in our secret work, we did not allow the Bible in the lodge room nor the name of God to be used. My office was in the second story of the Masonic Building and I usually kept a key in it it to the lodge room upstairs. So I got my key and took him up to the third floor, led him to the center of the lodge room and suggested that he inspect the book upon the altar. I then led him to the East under the letter “G” and asked him to read from the Monitor what that letter meant. He was much amazed. At first, I could not believe Father Badelon’s assertion that the Bible was not admitted to the lodge room in France. But after investigating, I found such was the case. During the French Revolution when all France was infidel, including its Masons, the Bible was excluded from the lodge room and the name of God was expunged from the services. It was then that the Vatican issued its first bull against Masonry and ex-communicated Masons. Prior to that time, the Catholic Church had bee profoundly friendly to Masonry and during our operative days was our first patron and benefactor. It was the Catholic Church that established and maintained the Masonic colony at York for the building of the Cathedral and maintained it through a period of six hundred years and it is through that colony that we trace our genealogy from operative to speculative Masonry. When speculative Masonry was instituted, it became extremely popular among Catholics, especially those of nobility in England and Scotland. It was planted along the Rhine in Germany and France by King James and his refugee followers who were driven from England because of their Catholicism and as these were so largely Scottish, denominated Scottish Masons. There never was a Scottish Rite Lodge in Scotland until recent years. It originated on the continent by those Catholic refugees. It is to Captain Jack Elgin that we owe a great deal for preserving much of our history in his memoirs which he left in our possession. Most of the quotes above are taken directly from them. He tells about Masonry in early Texas and provides brief biographies on the following members: Joseph Speight, Anson Jones, George Barnard, Peter McClelland, Sion Trice, J.F. Davis, Sherwood Owens, Marshall Surratt, W.L. Parker, B.J. Kendrick, E.A. McKinney, and W.H. Long. Of course it also includes a chapter about Elgin himself. The story of Waco is inseparable from the stories Elgin left in these memoirs and we will always be grateful to him as a result.